Serious seller and buyer. Not open to trades. Discounts if buy more than one together. 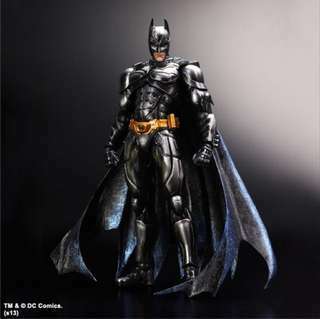 Mezco Mez-itz series Batman and Batmobile (comic version). Mint in Sealed Box. 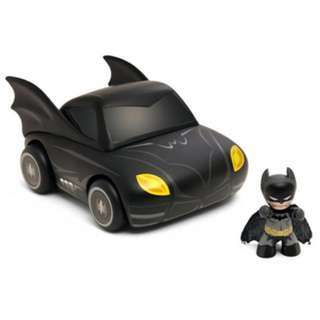 Batman can be inserted into Batmobile (see 2nd image). Box in relatively good condition, apart from some scratches at the bottom of box and at top of clear plastic window (see 3rd and 4th images). 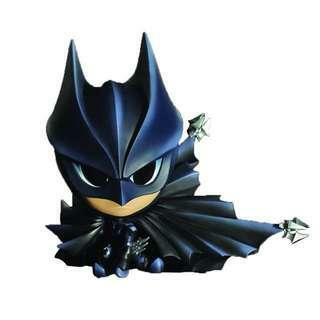 DC Comics Variant Static Arts mini Batman by Square Enix. Mint in Sealed box. See 2nd , 3rd images for actual item. 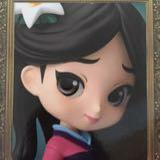 Non poseable mini statue, not an action figure. For those who like the cute (?) I suppose. Authentic. Not knock-off. 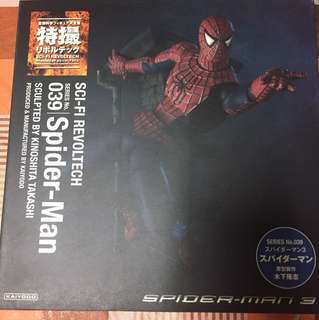 Spider-Man from the movie “Spiderman 3” (Tobey Maguire) by Revoltech. Mint in box. Never been opened or played with before. Box like new. Comes with accesories (brick wall, hands, webbings). 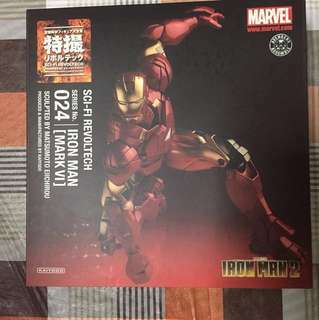 Revoltech Iron Man Mark 6 (MCU Iron Man 2). Comes with various accessories. Mint in Box. Never opened or played with before. No observable defects or paint degradation (which is common for the metallic red for iron man figures) Box like new. In scale with Marvel Legends 1/12 (6 inch) scale. 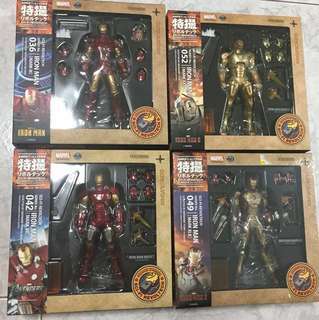 Set of four Iron Man by Revoltech. Never been opened and played with before. Comes with various accessories (none missing) 1. Iron Man Mark 3. 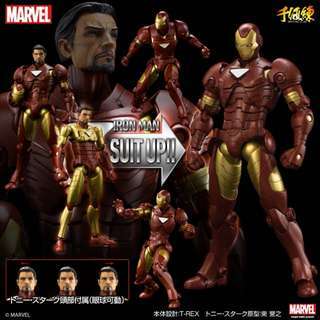 Comes with Tony Stark Head. (supposed to have light up function but since never take out before, not sure whether it is working) 2. Iron Man Mark 7. 3. 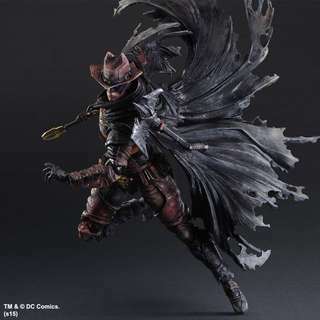 Play Kai Arts Timeless Cowboy Batman by Square Enix. Original brown version. Mint in Sealed Box. No observable defects on box and figure. Authentic. Not knock-off. 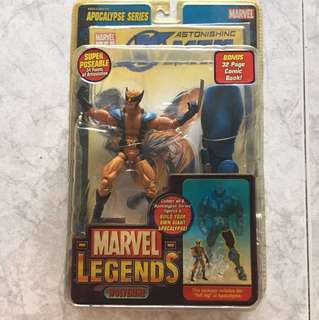 Marvele Legends Astonishing Wolverine by Toybiz. Mint On Sealed Card. 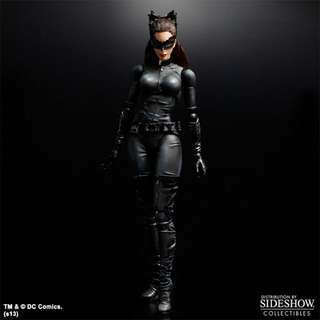 Comes with BAF part. Bubble’s clear. No dents on it. Clamshell’s crisp, no chipping. Yellowing has occured at the edges however (see images). Not for the fussy collector. 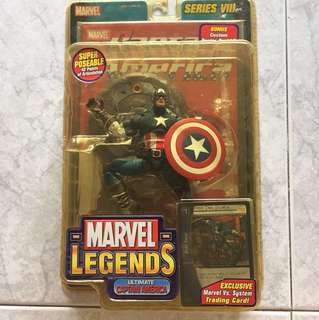 Marvel Legends Ultimate Captain America by Toybiz. Mint on Sealed Card. Variant with colours accurate to the comics (blue with grey stripes (see last image). No dents on bubble. But clamshell has yellowed. Plus chip at bottom corner (see images). Not for the fussy collector. 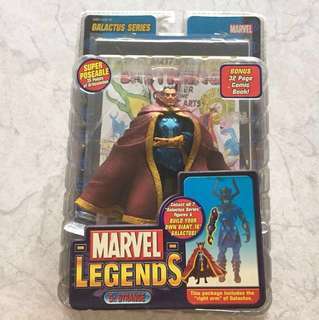 Marvel Legends Doctor Strange by Toybiz. Mint on Sealed Card. Comes with BAF part. Bubble’s clear and not yellowed. No dents. Clamshell’s crisp. No chipping observed (see images). No observable defects. 3A Judge Fear. Fabric for cape and clothing. Mezco 1:12 scale and quality. Mint in Sealed Card. See images for condition: Bubble’s intact, not yellowed, card’s clean and white. Slight crease on the bottom left corner of card. 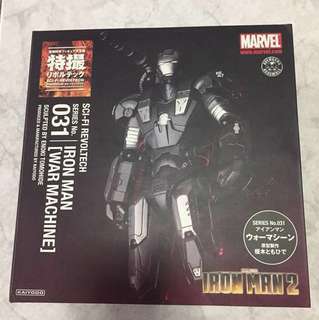 Revoltech War Machine Mark 1 (MCU Iron Man 2). Comes with various accessories. Mint in Sealed Box. No observable defects. 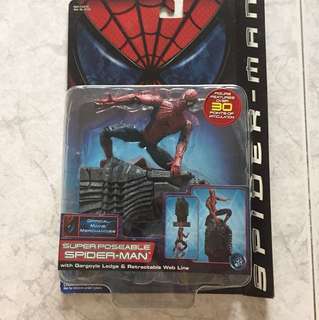 In scale with Marvel Legends 1/12 (6 inch) scale. 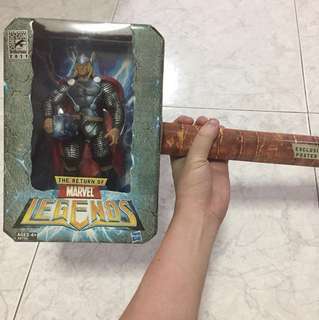 Return of Marvel Legends Thor. 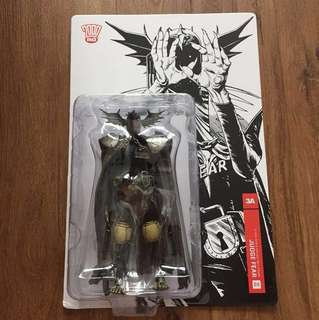 2011 SDCC Exclusive. Probably one of the best Marvel Legends Thor figures. Mint in Sealed Box. 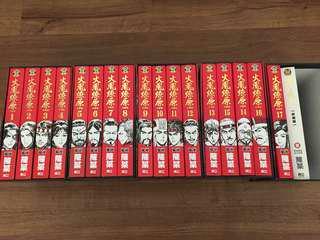 Box in great condition. 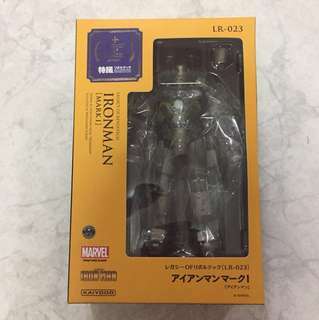 Legacy of Revoltech MCU Iron Man Mark 1. Mint in Sealed Box. Box is in good condition, except for logo where some of the gold letters have faded (see pictures). 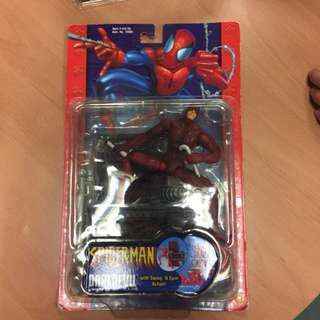 Spider Man Series Daredevil. Still sealed on card. Bubble in good condition, but card has some damages at the bottom (see photos). Not for the fussy buyer. 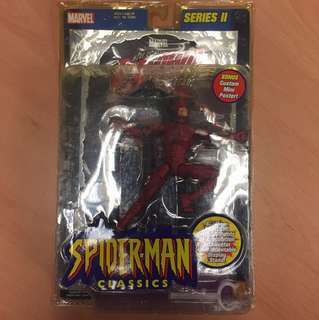 Toybiz Spiderman Classics Daredevil. Still sealed on card but clamshell has yellowed, as seen in photos. Some parts of the clamshell also bent. Not for fussy buyers.